Hello crafty friends, Tracy McLennon here. 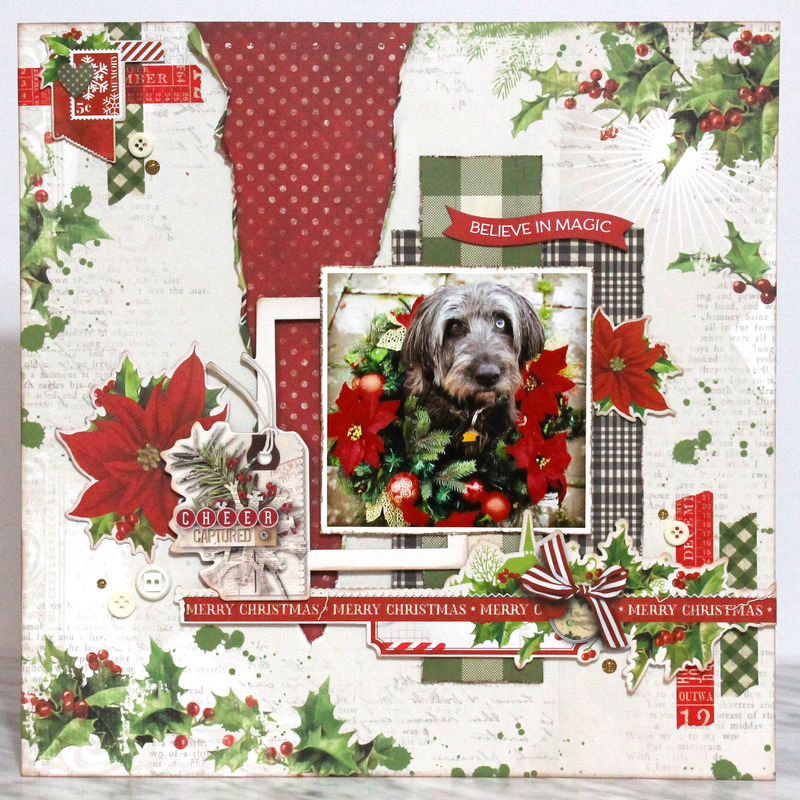 Today I have a beautifully festive layout to share using the new Simple Vintage Christmas Collection from Simple Stories. I adore everything about this collection. The classic Christmas palette, the vintage imagery and the sheer selection of fabulous coordinating embellishments. This collection has so much crafty potential for all sorts of your holiday crafting and scrapbooking. I love to create with lots of layers, texture, and dimension. So each of these bits, pieces, and patterned layers have dimension thanks to Scrapbook Adhesives by 3L 3D Foam Squares, Thin 3D Foam Squares, and Crafty Foam Tape. You’ll also find the coordinating washi tape here and there adding pops of colour. Some finishing touches include gold glitter enamel dots and ivory buttons. 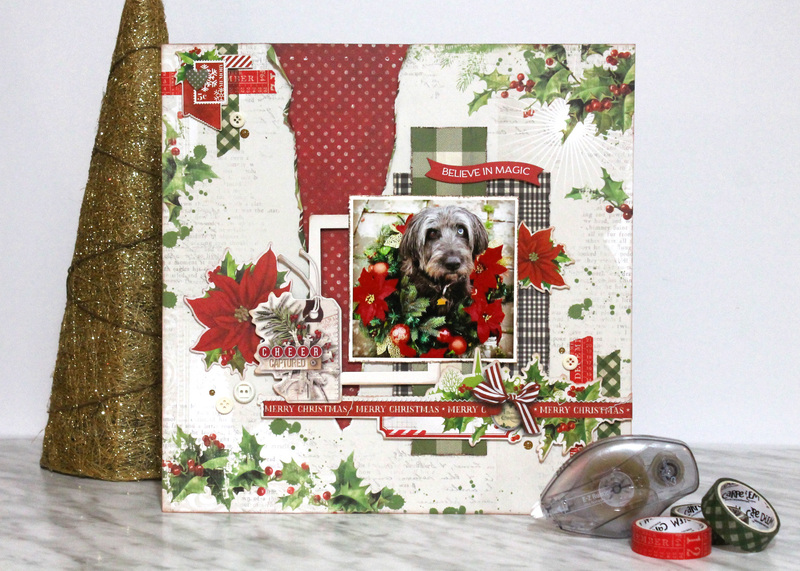 A few more coordinating bits and pieces die cuts around the matted photo and embellishments clusters so perfectly accent that super cute photo of my festive pooch. Again don’t forget to add dimension to those pieces to make them pop using 3D Foam products. Thanks so much for stopping by and a very happy, healthy and safe holiday season to all of our crafty friends. Always love the ideas great job! Super cute and creative layout. Love your blog! Your vintage LO inspired by the Simple Stories paper is so beautiful! Their papers are beautiful and I love your mix of plaids and prints for this design.